If you’re a credit card user who prefers to repay your balance over a period of time rather than all at once, having a low-interest credit card will help you cut the cost of having a credit card. Each month that you carry a balance on your credit card, your credit card issuer adds a finance charge that’s calculated based on your interest rate and balance. The lower your interest rate, the lower your charges will be. Of course, qualifying for the lowest interest rates typically requires that you have a fairly good credit score. When you’re choosing a low-interest rate credit card, it pays to check out some of the other perks. Some of the best low-interest rate credit cards offer other benefits like a sign-up bonus or rewards on your purchases. With that said, read on to see our picks for the best low-interest credit cards to apply for today. 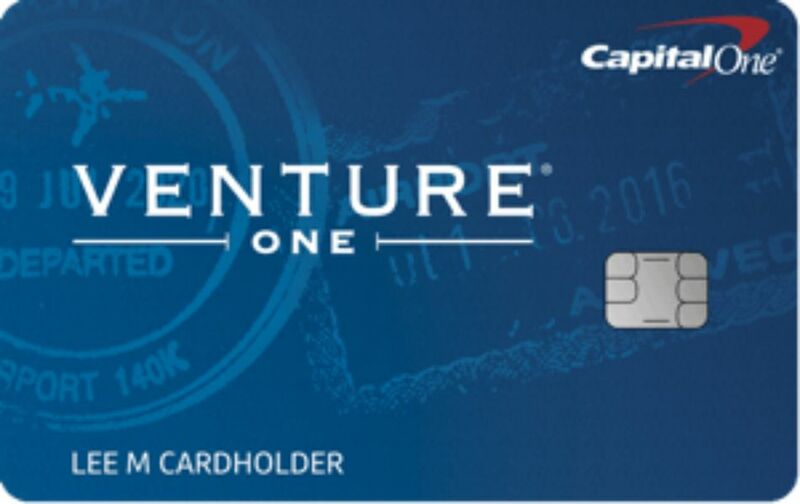 With the CapitalOne VentureOne Rewards Credit Card, you can earn 20,000 bonus miles once you spend $1,000 on purchases within the first three months after opening your account. Ongoing, you’ll earn unlimited 1.25 miles for every dollar you spend on every purchase. You also have the opportunity to earn 10 miles per dollar on certain hotel stays. Your card also comes with travel upgrade and savings, complimentary concierge services, extended warranty, emergency card replacement, and a credit on Global Entry or TSA Pre Check. Important Pricing: The regular APR is 14.24 to 24.24 percent based on your creditworthiness. There is no annual fee. Spend $1,000 on purchases on your Blue Cash Preferred American Express within the first three months of opening your account and you can earn a $200 bonus statement credit. Ongoing, you’ll earn six percent at U.S. supermarkets up to $6,000 in purchases each year; three percent cash rewards on purchases at U.S. gas stations; and one percent on everything else. The six percent cash back rewards are the perfect benefit for families who spend over $400 on groceries each month. In addition to your rewards, you get access to roadside assistance hotline, global assist hotline, and car rental loss and damage insurance. Enjoy zero percent introductory APR on purchases and balance transfers for the first 12 months after opening your credit card. Important Pricing: The regular APR after the promotional period ends is 15.24 to 26.24 percent. There’s a $95 annual fee. The Discover it Cash Back pays five percent cash back on up to $1,500 in purchases in categories that rotate each quarter. You’ll have to activate your five percent rewards each quarter to ensure your purchases earn at the top rate. All other purchases earn one percent cash back rewards. Your rewards never expire and you can redeem at any time in any amount. Earn as much as you can in rewards, particularly in the first year. At the end of your first year, Discover will match all the rewards you’ve earned, dollar for dollar. Enjoy a zero percent introductory APR on purchases and balance transfers for 14 months from the date you open your account. Discover also offers a free FICO score with your monthly credit card statement and the Freeze It feature that allows you to freeze and unfreeze your credit card. Important Pricing: The regular APR after the promotional period ends is 13.99 to 24.99 percent. There’s no annual fee. The U.S. Bank Visa Platinum offers one of the longest promotional rates of any credit card. Enjoy zero percent APR on purchases and balance transfers for the first 20 billing cycles. Keep in mind a billing cycle is slightly shorter than a full calendar month, so the promotional period will last a little less than 20 months. Pay your cell phone bill with your U.S. Bank Visa Platinum and receive cell phone protection against theft and damage. You’ll also have the ability to choose your own payment due date based on what’s comfortable for your budget. Important Pricing: The regular APR after the promotional period ends is 12.24 to 24.24 percent. There’s no annual fee. Credit card cash advances are typically a bad idea because they come with a much higher interest rate and no grace period. The Barclay Ring MasterCard is one of the rare credit cards that extends its low-interest rate to both purchases and cash advances, a plus if you think you’ll need to borrow cash from your credit limit. Enjoy a zero percent introductory interest rate for 15 months on balance transfers. The transfer must be made within 45 days of opening your account to qualify for the promotional rate. You’ll also get free online access to your FICO credit score, which helps you stay up to date on changes to your credit rating. Important Pricing: The regular APR is 14.24 percent on purchases and cash advances. There is no annual fee. The USAA Visa Platinum Credit Card rewards 2,500 bonus points with your first purchase. And you don’t have to meet a minimum spending threshold to earn the bonus. Ongoing, you’ll earn one point for every dollar you spend on all purchases. There’s no limit to the amount of points you can earn and your points never expire. Enjoy a zero percent introductory APR on purchases, balance transfers, and convenience checks posted in the first six months. The promotional rate lasts until these balances are paid off. You must be a current or retired member of the military or the immediate family member of a current or retired member of the military to join the USAA and apply for the USAA Visa Platinum Credit Card. Important Pricing: The regular APR is 9.75 percent. There is no annual fee. The Navy Federal nRewards Secured Credit Card is great for military members who don’t have the best credit score. It’s easier to qualify for because you make a security deposit that serves as collateral for the credit card’s credit limit. You make purchases and payments just as you would with any other credit card and the bank will return your security deposit when you close your account in good standing. You also have the chance to earn rewards on your credit card purchases — which is uncommon with secured credit cards. You’ll earn one point for every dollar you spend on purchases. You can redeem your rewards for cash back, gift cards, and merchandise. Important Pricing: The regular APR is 10.99 to 18.00 percent. There is no annual fee, balance transfer fee, cash advance fee, or foreign transaction fee. The Citi Diamond Preferred offers a zero percent introductory APR for 21 months from the date of your balance transfer. And you have four months from the date you open your account to make a qualifying balance transfer. You can also enjoy zero percent on purchases for 12 months ​from opening your account. While the Citi Diamond Preferred doesn’t offer a rewards program, you do get access to perks like Citi Private Pass, Identity Theft Solutions, and Concierge. Important Pricing: The regular APR after the promotional period ends is 14.99 to 24.99 percent. There’s no annual fee.